Please see our athletic website, www.purdyeagles.com, for athletic events. Patrons wishing to reserve our facilities for private use must complete THIS FORM. You will be notified of your submission status within 5-7 business days. Please call (417)442-3216, ext. 1282 if you do not receive your status notification or if you wish to obtain and complete a hard copy of the form. 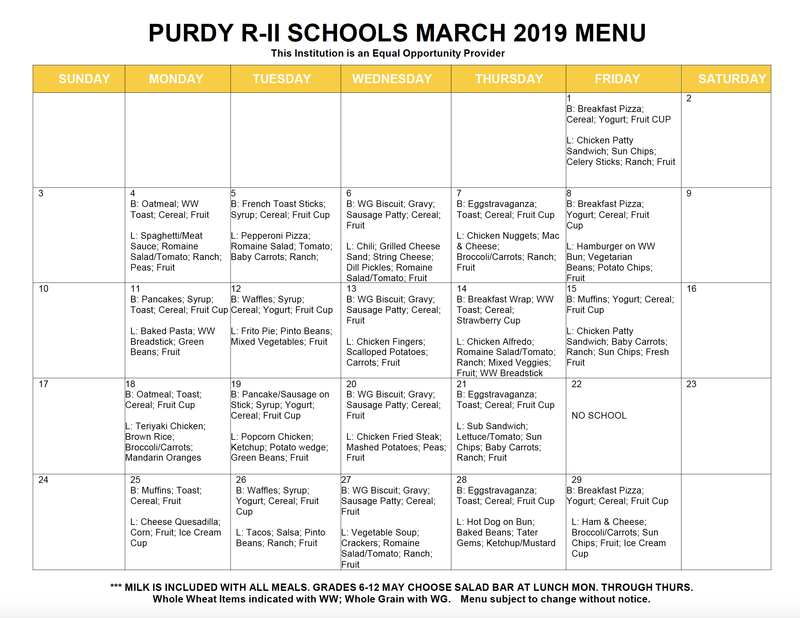 The Purdy R-II School District is committed to providing a website that is accessible to the widest possible audience, regardless of technology or ability. If you use assistive technology and have trouble accessing information on our website, please contact Susan Funkhouser at the following e-mail address: sfunkhouser@purdyk12.com. When requesting assistance via e-mail, please write 'Accessibility' in the subject line. If you are hearing-impaired and use a teletypewriter (TTY), you can contact us at 417-442-3215 x4 (Monday-Friday, 8:00 a.m.- 4:00 p.m.) for assistance. In order to better serve all users, we will endeavor to progressively incorporate improvements to the site. To that end, we welcome your questions and suggestions on ways to improve this site's accessibility.